I love being able to interview amazing mothers from all over the world! These women have a corporate background and have either left their corporate job to follow their dreams, or others were pushed out of corporate and doors of opportunity came a knockin and changed their lives forever! 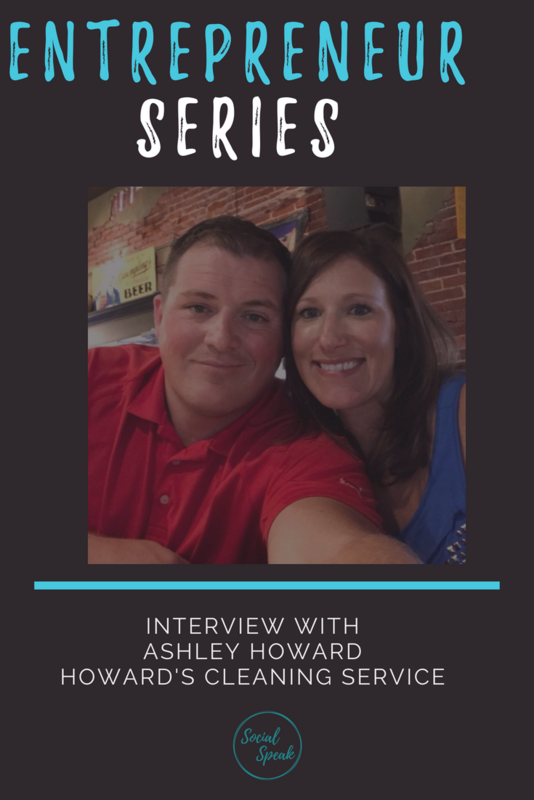 In this interview, I am speaking with Casey Smith owner of Wild Liberty Design Co, she left corporate knowing she wanted more to life, even though she was making great money and had amazing benefits, she was her kids growing up without her being able to be apart of their growth. 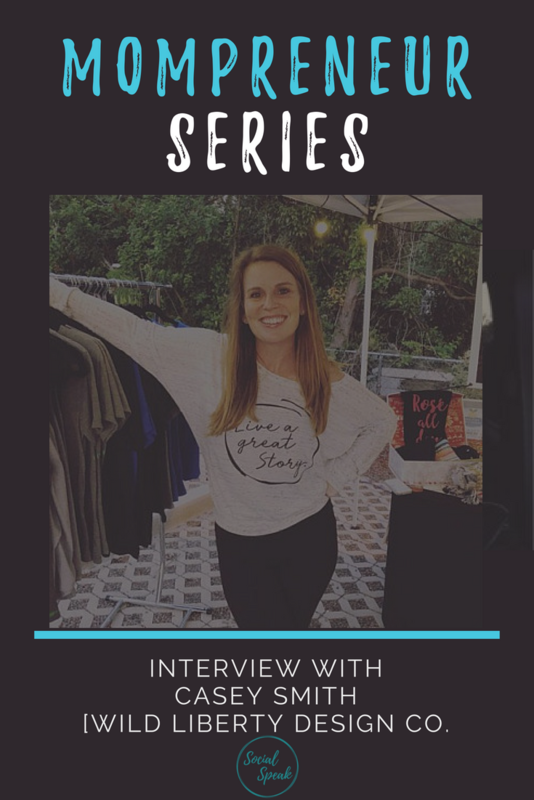 Learn more about how she started a local and online T-shirt business and is building connections both locally and nationally. 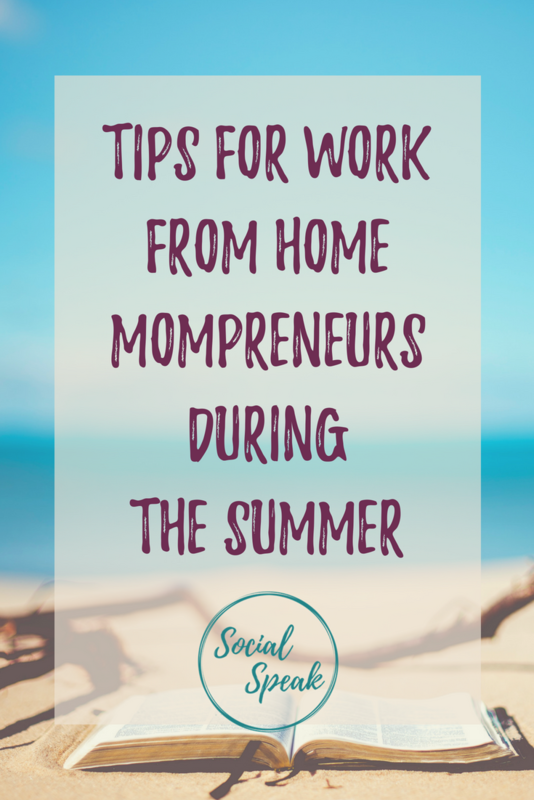 https://socialspeaknetwork.com/wp-content/uploads/2018/06/Mompreneur-Series-Casey-Smith.png 720 1280 Amber Irwin https://socialspeaknetwork.com/wp-content/uploads/2018/04/SocialSpeak-Logo.png Amber Irwin2018-06-27 19:33:492018-07-23 20:11:17Interview with Casey Smith - Wild Liberty Design Co.
Have you been thinking about starting a freelancing business or going into business with a partner? Being your own boss is an exciting and frightening feeling. It is something you want so bad and yet are afraid to chase that dream or leave your comfort zone. I think at some point every person dreams of owning their own business, making money doing something they love to do. Unfortunately, very few actually take that leap of faith and follow their passion and dreams. 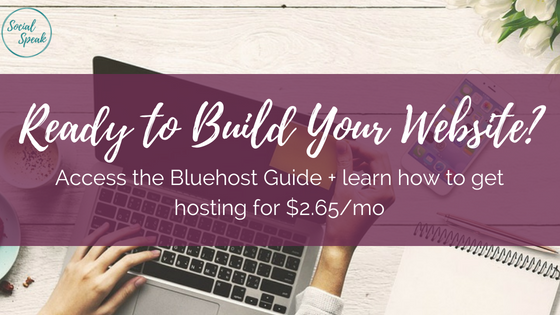 In today’s world with this awesome tool called the internet, we truly can create a freelance business and work from anywhere. I remember when I started my business, I had set out to do my own thing, my own way and I was committed to making it work! The day I started my business I already had 6 clients who had signed up for my services, so I was already making the same monthly income I was making at my corporate job! See, the backstory on that is I told my husband (boyfriend at the time) when I left corporate to give me 6 months to replace my corporate income or I would go back! The fact I was able to do that right away gave me even more drive and desire! 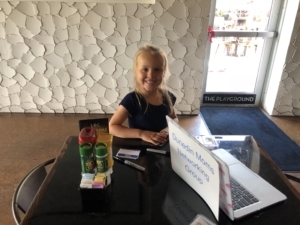 When I started my business I had offered a couple different services, social media management, networking, virtual assistant help and for a couple of my higher-end clients, I went to their office a couple days a week to help get them organized and some assistant work. Things were moving and shaking. 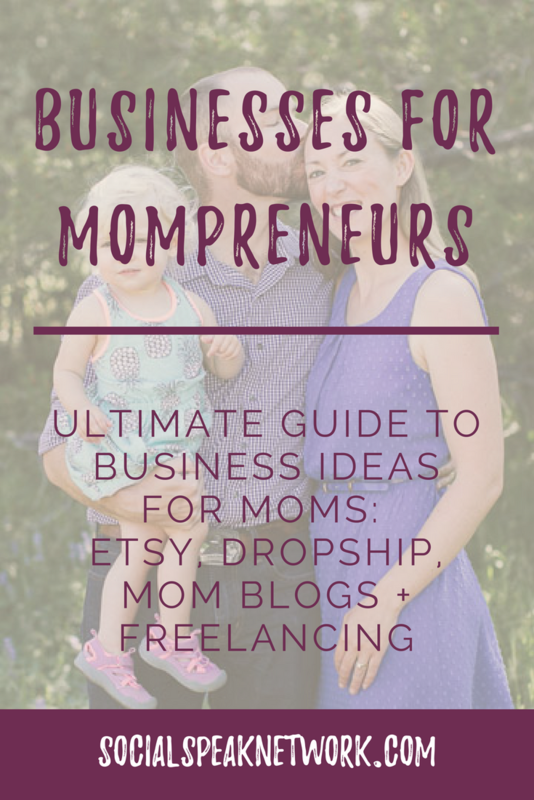 I had my business for almost three years before I met Caitlin. We worked at a Marketing Firm in Northern Colorado together. We managed about 5-10 accounts for this company and really worked well together. After a few months we had found out that owner was embezzling money from some of the clients, so we both left. Caitlin and I both knew we liked each other and thought we should explore more about what we each do. We grabbed coffee one day and 4 hours later we had figured out that we could really complement each other. My business had been successful for the first three years and I knew it would continue to grow if Caitlin and I could work together. We could really take our businesses to the next level, and help all sorts of businesses with their digital marketing. Caitlin had a different skill set than me and vice versa. We both had been managing digital marketing from two different angles. I worked on social media management and she worked on analytics and AdWords, so we really complemented each other. We each had our own businesses with our own clients that would benefit from each other’s skills and services. This worked extremely well, we were each bringing in more clients and happy with the results they were getting. We worked together for over a year when we hired our second intern. It had started to get a little confusing for our intern trying to keep track of what clients were Caitlin’s, what clients were mine and which were ours together! We really had to work on our systems at this point! We had a long talk about how we both managed our own businesses, what systems we had in place, price points, income, how we each managed our own clients and where we needed help, etc. There were a few things we would both have to adjust if we joined forces, but we were both committed to doing so. My grandmother was a CFP and owned three H&R Blocks in Michigan for over 25 years, so we had a conversation with her about moving forward with becoming partners and combining our businesses. Our question was “how do we partner and join forces and what is the best way to do this?”. I have to be honest, my grandmother was not very excited about the thought of us being “Business Partners.” She had told us that almost every business tax return she had done with partnerships never ended well. They couldn’t agree on finances, roles, services, prices, or one would think they were doing more work than the other, lack of communication, the list went on. We both knew that by working together we would be able to reach new goals and grow our business. We both have exceptional work ethics. Our core values are in alignment. We compliment each other nicely. A few things needed to happen before we moved forward, the biggest thing was roles! We both were able to express what our goals were, where we wanted to be, how we wanted to grow the business. We both were able to play off of our strengths and weaknesses. We had written out what each of our responsibilities would be and what our expectations were for each other. This helped set the foundation for our successful business. We got those uneasy conversations out in the open first thing. Still, to this day we have our own roles and have had very clear conversations about money and expectations. Long story short, we decided to go for it and we created Boundless Internet Marketing Solutions (The BIMS Team). We both kept our own LLC’s and formed an S-Corp together. 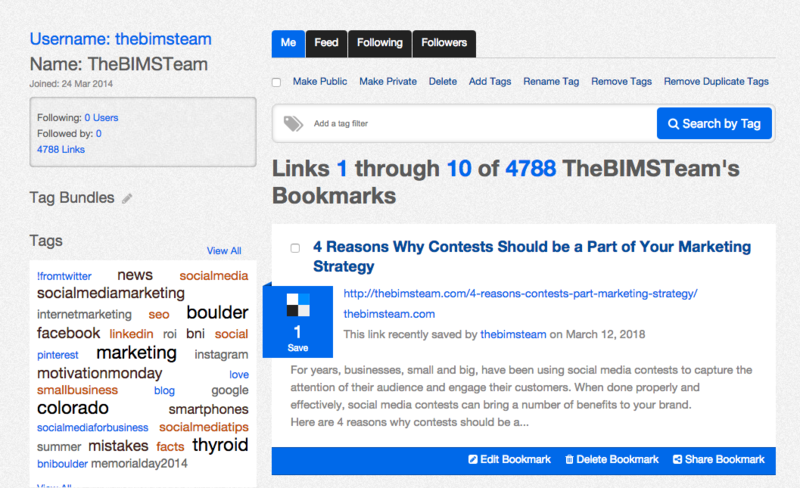 We decided that any client that had to do with marketing would go through The BIMS Team. We also agreed if we had a client or project that was outside the scope of BIMS we could run it through our own LLC as long as we communicated. This included side projects like I made soaps and sold them for fun, Caitlin refinished furniture and has an online store where she sells apparel. I have always loved the idea of co-creating. I also know I am a control freak and like things done my way! As much as I like things to go my way and have the control I also knew that I could learn a lot from Caitlin. We could really go far with our business together. I liked the idea of shared responsibilities, someone to hold me accountable, someone to bounce ideas off of and feedback on projects. I think before you decide to have a business partner you need to have a self-talk. Really understand the type of person you are and who you want to be. You have to be honest with yourself and understand the areas where you can grow and change your ways. You also have to be ok with taking direction or constructive criticism from someone else. For example, there are times where Caitlin has an idea to change a system or process that we have had in place and I usually have resistance towards that change. She talks me through the new process and how it is going to help us, I let my guard down and allow the change to take place. 9 out of 10 times it works out for the better! Just remember it is ok for things to grow, adjust and change. I have to remind myself that this is why we started our own business to have that freedom and flexibility. 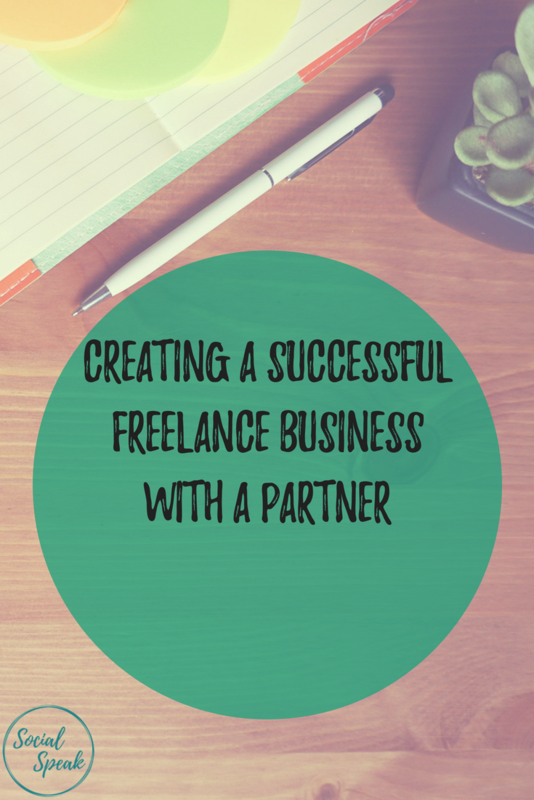 Having a partner in a freelance business can really be a powerful tool. Time to time, I think where would I be in my business if I didn’t meet Caitlin, or if we didn’t join forces. I know for a fact that I wouldn’t be the person I am today if we hadn’t joined forces. It has been a great journey so far learning from each other, and for each of us to allow another to grow in their our own ways. To also collaborate on new business goals and techniques. 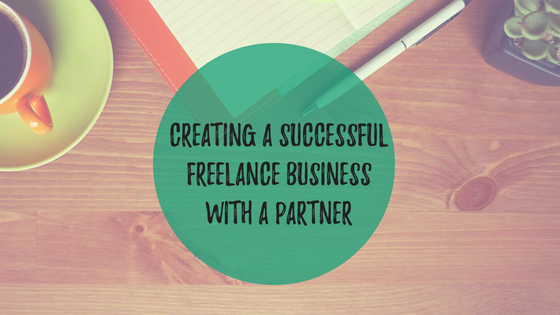 You can set yourself up for personal and business success with a partner. 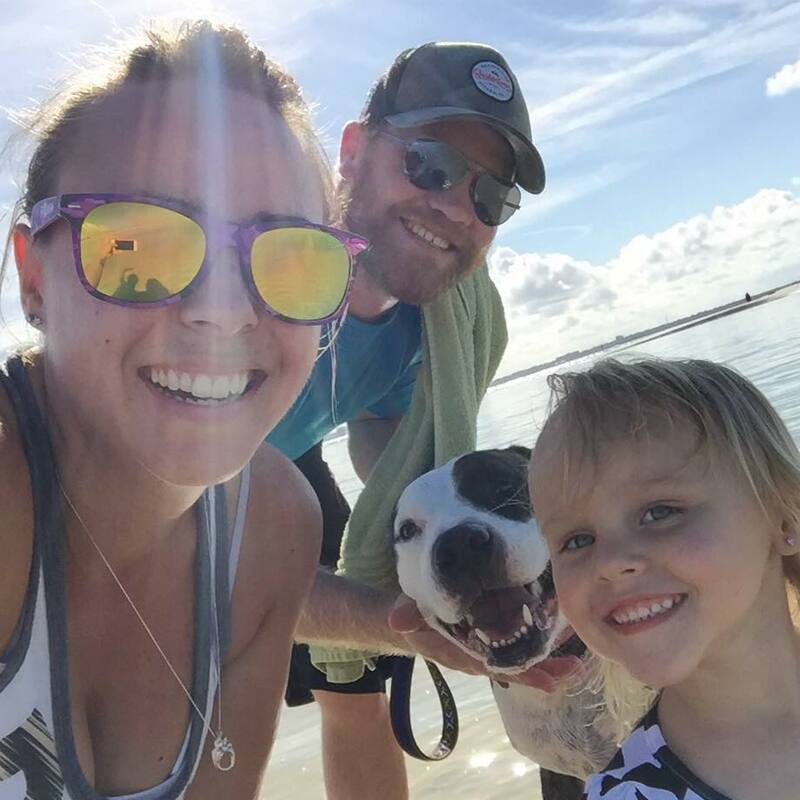 This past year, we both took the ‘What’s Your WHY?’ test and that was a huge eye-opener for us. You have to trust each other and know that both of your end goals is the same. You may both take different roads to complete a task or project, but as long as neither one of you are hurting the business or brand, allow each other to flow. Like I said above, having a partner is a great idea if both of your personalities mesh together and you can work well together. Ove the past 7 years of running a successful freelance business with a business partner where everything is 50/50. I have learned a few things about having a business partner. It is important to form a relationship/friendship outside of work, this piece can be tricky. You want to find that right balance, of friendship and work relationship. You want to feel comfortable with this person. Someone you can go grab a beer with or call if you need something. You have to be yourself! In the beginning “Talk” you need to both express your vision for what each of you is thinking for the company. Outline a one-year plan, three-year plan, five-year plan, and long-term plan. Where do you both see yourself in ten years? Is your vision the same? Are you both wanting to serve the same target market? 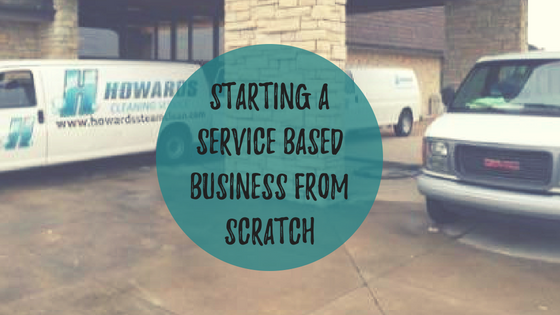 Are your both looking to grow the business with the same idea of services or programs? Make sure to keep your communication open about money. This is the key to run your business and grow. If you both are not on the same page you need to talk about it. How do you both feel about money? What is your worth? How should you charge for services? Where is there flexibility with pricing and working with clients? Will you have monthly contracts with your clients, do they pay weekly, or monthly? How will they Pay? Credit Card, Check, PayPal, Stripe, Cash? Then, once you are both in agreement about how you are going to charge your clients and collect money. Then you need to have the conversation about how do you pay each other. Are you going to have paydays? At the beginning of our business journey together, we would split the money as soon as someone paid, so if we had a $500 client pay that day we would each make $250. This was fine when it was just us two. We hired interns early on to help with certain tasks, so then we started having business expenses. We needed to figure out how we were going to pay our interns or contractors. We pay them on the 1st and 15th and then we decided it would be better if we set dates to pay each other. So, we pay each other the 1st and 3rd Friday each month. We adjust if needed. This put another system/process in place for our business. Figuring out the roles and expectations of each other will help things run more smoothly. Now, there are two of you so it is a good idea to split the business responsibilities. – Bills and expenses – who is in charge of making sure those are paid? – Sales – are you both bringing in new clients? 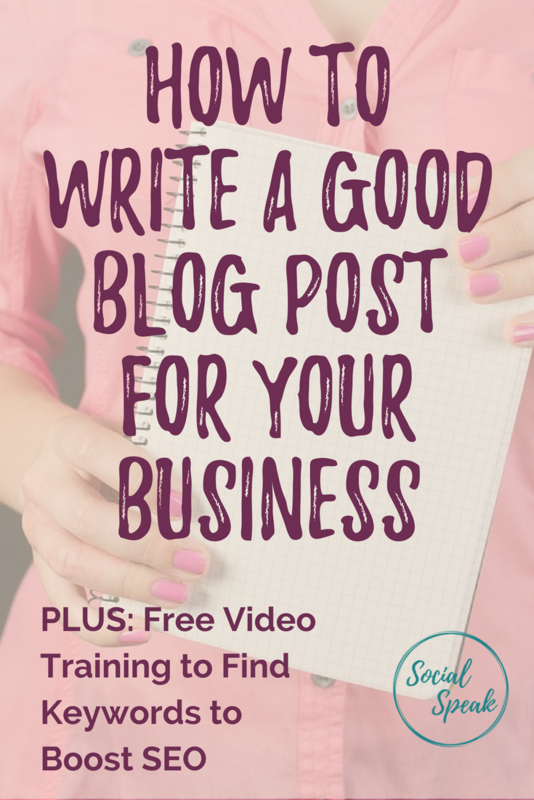 Do you each have a goal or minimum of new clients you want to bring in each month? – Marketing for your business – who is doing the blogging, videos, social media, networking, digital marketing, etc. – Client Interaction – are you both going to have the client interaction or is all communication going through one person? Do you figure out who interacts with them based on who brought them to the business? – Managing Interns or Contractors- Who is in charge of finding help? How much will you pay them? How will you pay them? What are your expectations or requirements for each intern or contractor? 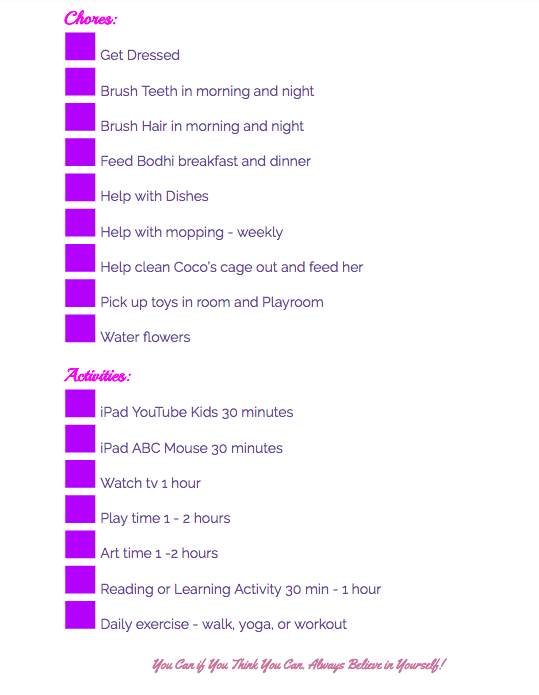 Once you have your list written down, you can then both go through it and pick the tasks you want to manage. The ones that neither of you is passionate about, see if you can hire those out. Work smarter not harder. Core values come into play here. 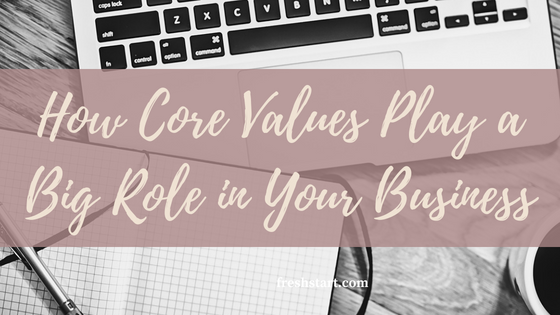 When you understand where your core values are at then you can understand each other’s commitment level for the business. What is each of your commitment to the business, clients and each other? This is why you are even thinking of having a partner because they most likely do something that you don’t. Outline each of your strengths and weaknesses, this is something you may have jotted down during your own self-talk section. 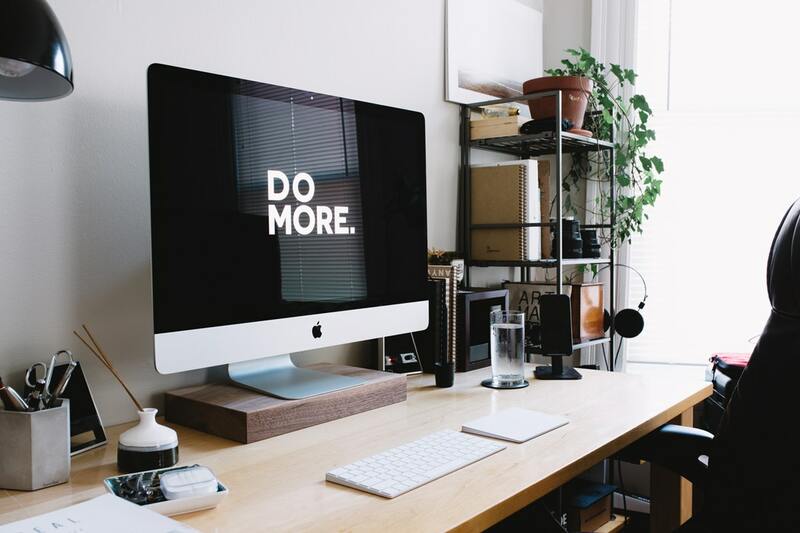 What areas in your business do you excel at and where are the areas that you may not pay as much attention or areas that are more weak for you or you are not as passionate about. Each of you needs to do this. You should both have different strengths and weaknesses. If you both have very similar strengths and weaknesses, you might want to reevaluate that partnership. Will you be able to push each other and compliment each other? 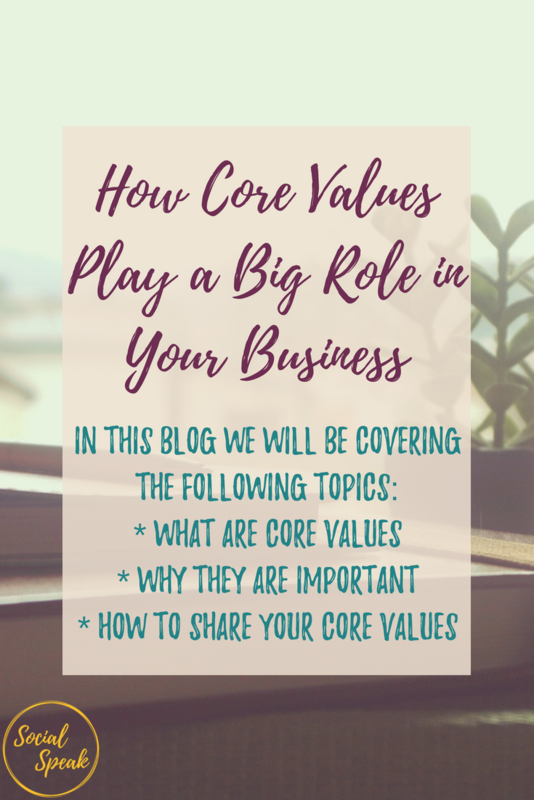 Now, that you both have discussed your core values and outlines each of your strengths and weaknesses, it is time to make sure you are compatible. Where your weaknesses are should be your partners’ strengths, and where their weaknesses are should be your strengths. Being compatible can go deeper than just running the business. 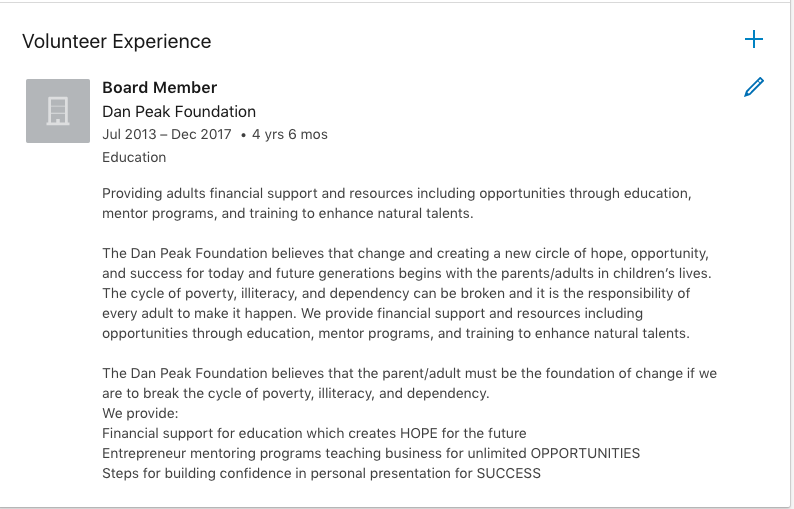 For example, Partner #1 works 12-14 hours a day, has no kids and is always trying to get new clients to get the business up and running to bring her vision into play. Is very driven and doesn’t like to be told what to do. 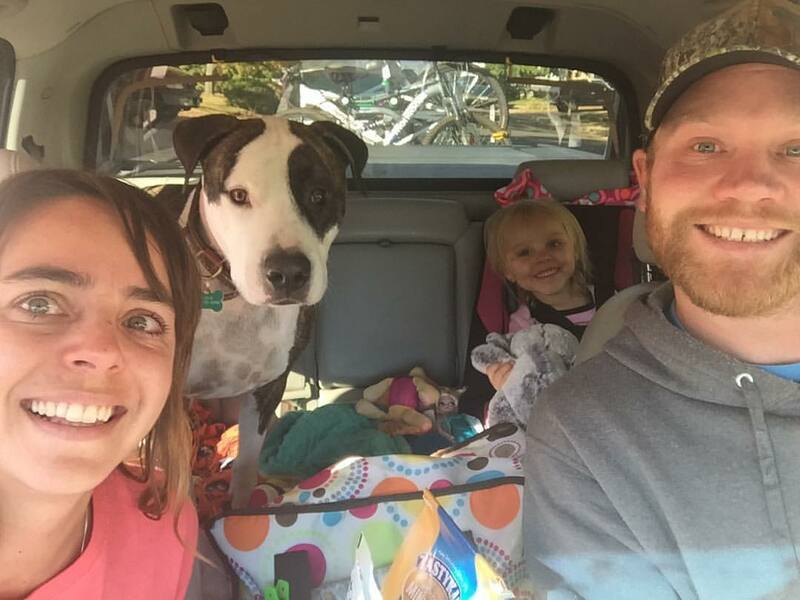 Partner #2 has a family and needs to find that work/life balance, has a busy schedule with hobbies or child activities and may work more in the evening than during the day. This could be a problem for some people, this is where those upspoken expectations come into play. As long as each of you is able to get the work was done and you can communicate during hours that work for each of you, then you are compatible. 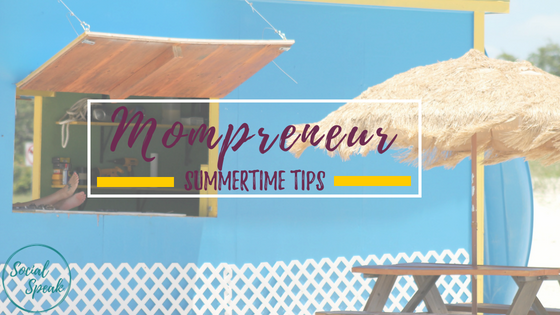 You need to have common ground and communicate about schedules and family life. We have found that having a task-driven company works better, there are days where I may only work 3-5 hours a day and then there are days where I am working 12-14 hours a day and same with Caitlin. We can’t track each others hours and hold that over each other’s heads but have those roles and tasks clearly outlines so you both know what is expected from you each day. 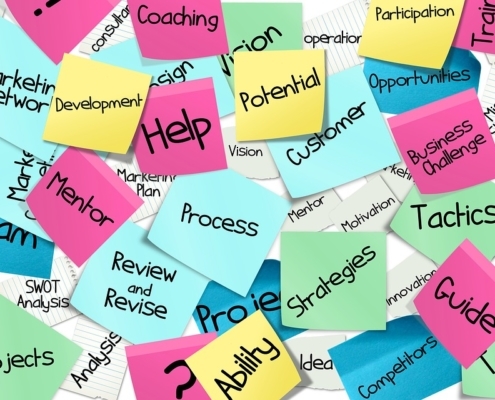 Another thing to talk about with your business partner is their “psychographic” styles. In a nutshell, what is their personality like, values, attitudes, interests and lifestyles? Go back to number 2 – What is your vision? If you both have the same or at least a similar end-goal then what are the steps you both need to take to reach that goal? Set monthly and annual goals for the business. Revisit that one-year, three-year, and five-year plans. You have set your goals which is great and now you need to create your plan. If you both want to make over six figures a year, what does that look like? How many clients or projects do you need to have each year to reach that level of success? What does success look like for each of you? Is it happy clients? Six-figure income? Make sure you are both on the same page. The last thing – put an exit strategy in place. This is something that just protects each of you and again outlines those expectations. If either of you chooses to part-ways, what does that look like? Sometimes things just don’t work out. Maybe one of you got a new opportunity or decides to go in a different direction. Maybe deciding to start a family and chooses not to work at this time. You need to have a clear outline. Is there a buy-out process? Do you measure how many clients each of you brought to the company? Can you just walk away and let your partner continue? This is another hard talk to have, but it is important to discuss an exit strategy so you don’t burn bridges with your partner or clients. 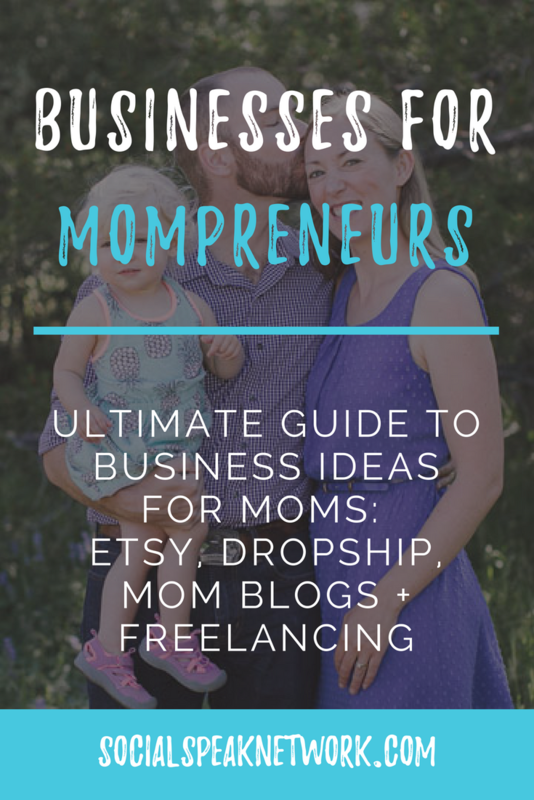 We covered a lot on this blog and you may need a little time to really think about if having a business partner is right for you. If you discuss these steps we outlined you both are on your way to success! 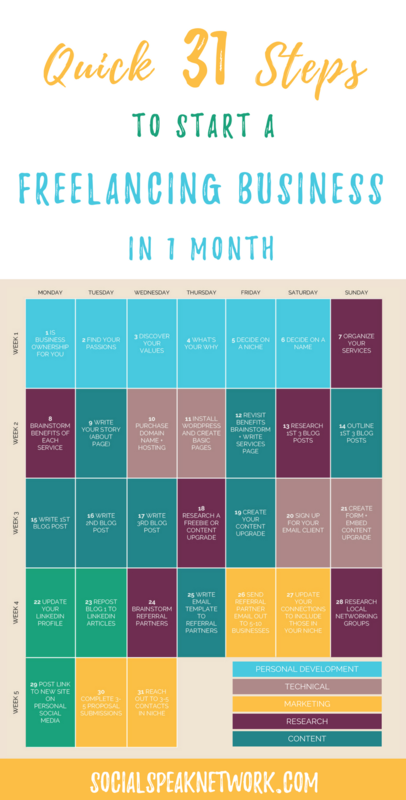 Are you ready to grow your freelance business? 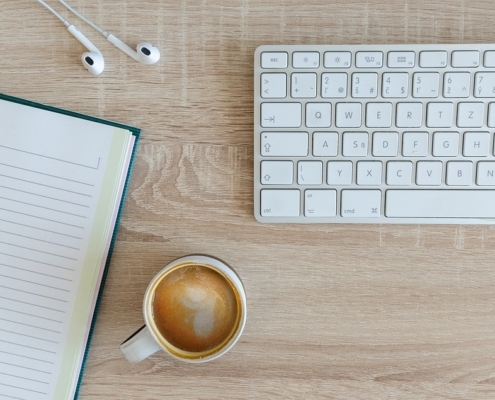 We invite you to sign-up for our start and grow a freelance business! How you can add connections and build your network. What Do I Need To Supply For A Linkedin Profile Page? 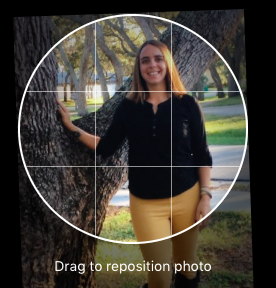 You can use a current up-to-date headshot, or an image of yourself with a natural background, not a party or fuzzy image or a selfie. Take your time on this photo! Think of this as the first impression, this is what people are going to see with your name and picture. 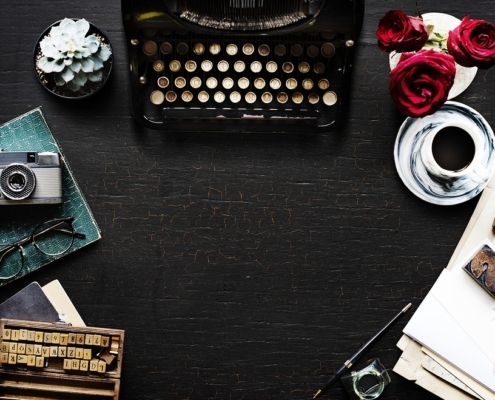 Have your headline be intriguing, eye-grabbing, relevant and clear. Include your company name and then your title or what you do. You can now have a customized banner (1400×425), which you can create in Canva. This header should be relevant to who you are and what you do. Have fun with it. Tell your story, what’s your WHY. Keep your summary in the first person. Your summary should be engaging, relevant and conversational. We have spoken about what’s your WHY, creating that personal brand, your core values, brand message, you want to make sure those come through in your profile. People should be able to read your summary and understand who you are and WHY you do what you do. Start with the most recent position or company and give us details! What is your role, responsibilities, etc. List our accomplishments and challenges you have encountered, what was the outcome? Remember your target market and speak to them when you are adding your services and details. You don’t need to list EVERY job you have had from the time you turned 15! Stay relevant list that last few with great detail. Remember to list your degrees, diplomas, certifications etc. 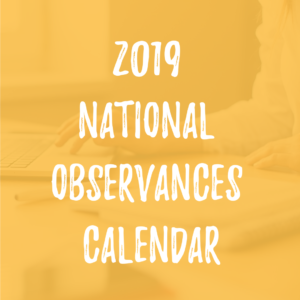 It’s important to also include dates and locations. People LOVE to see that you are involved in your community or a certain cause. Cause marketing is HUGE! 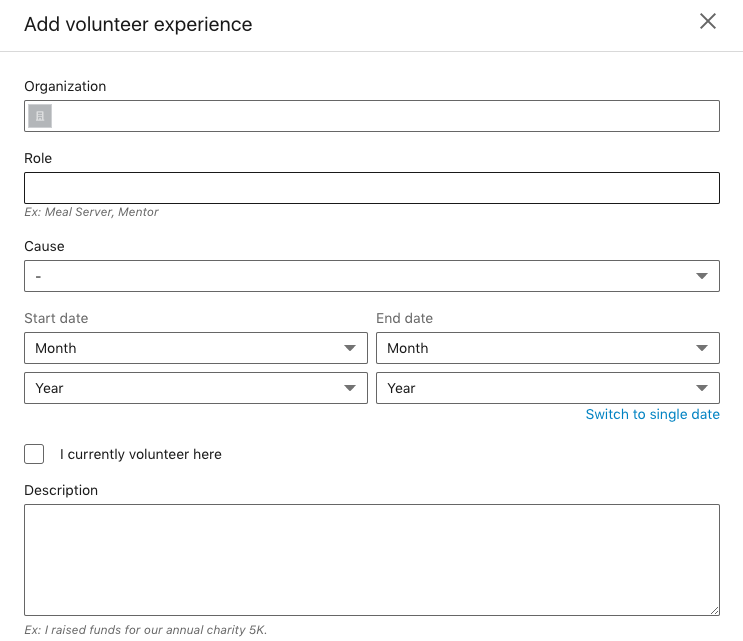 List the non-profits you have helped, maybe sit on the board or have organized events for. What causes do you donate your time, money and energy too? We get asked this question a lot, should we include the skills and endorsements in our profiles? The answer is YES! People have recognized you for a skill that you have, acknowledge it. 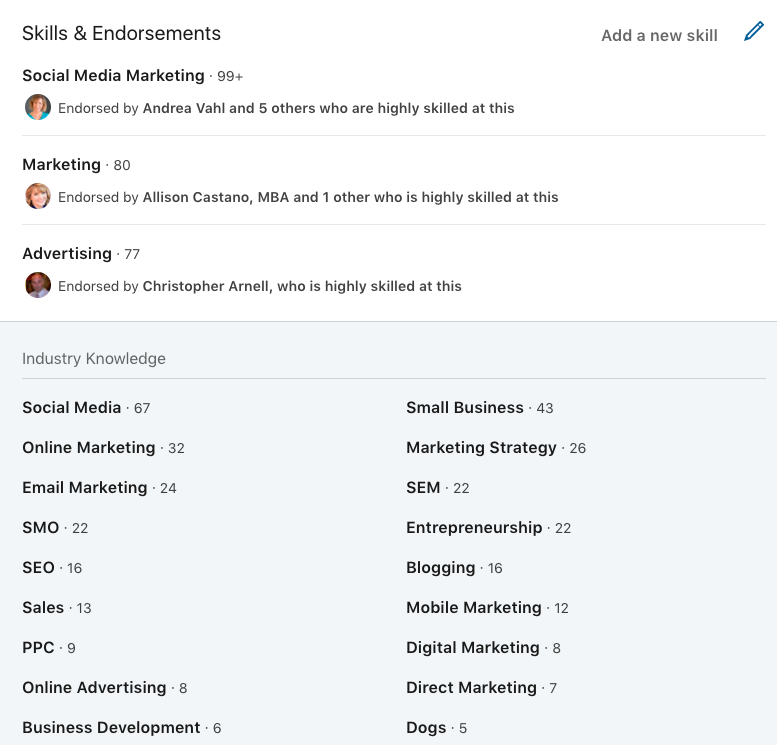 LinkedIn will have those endorsements show up by the ones people have selected the most. You can always go in and edit or delete these as you find needed. Think of your keywords when adding your skills, you will notice in the image below, the last skill on the bottom right corner says DOGS, um, I do social media and digital marketing, BUT in my past experience I was a Vet Tech at an Animal Emergency Center, so I may think of deleting that one just because it is not relevant with what I am doing now. We always encourage our clients to have people give them recommendations on LinkedIn and include them in your profile. List any awards you have won through work, community, networking. Now, that we have your personal profile taken care of it is time to move into business. You can still post business related topics to your personal profile, but there are so many perks to having a business page on LinkedIn. 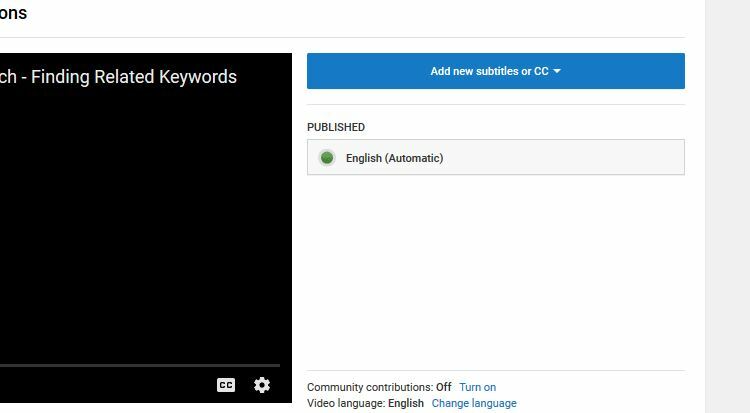 In the video below I show you how to create that company page, so if you don’t have a company already take a minute to create one and then we will talk about “WHY” you need to have one and all the benefits! 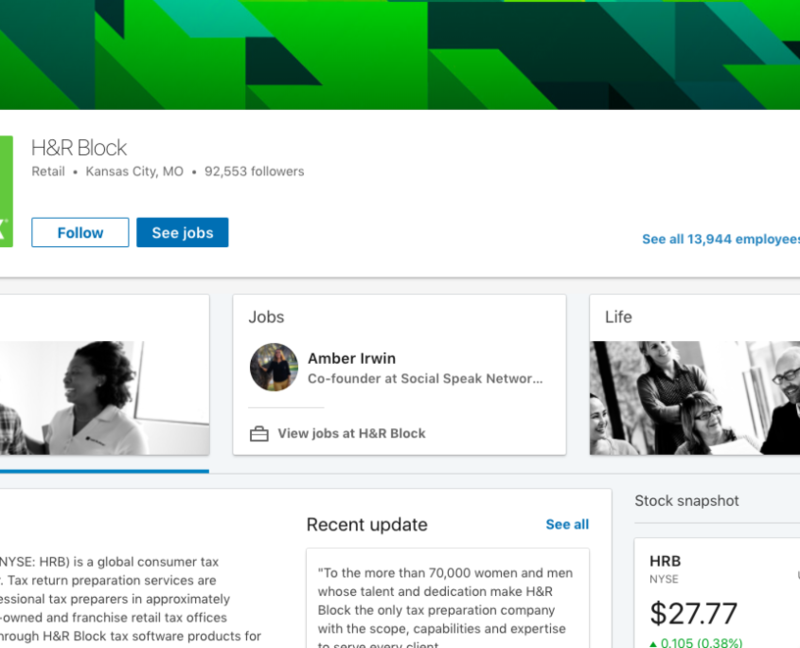 Here is an example of H&R Block’s company page, it is consistent with their brand, brand colors, logo, header, overview image, about us and more! This is the MOST important piece of your company page, you have 2000 characters to use up. Think of your story, WHY your business does what it does, who do you help, speak to your target audience and use your keyword phrases. This is where your audience gets to really know WHO the company is. They are taking a peek inside and understand more of the foundation of your business. What makes your company stand out from the others, how did your company come to fruition, what is your business’s mission and vision, etc? More details the better. 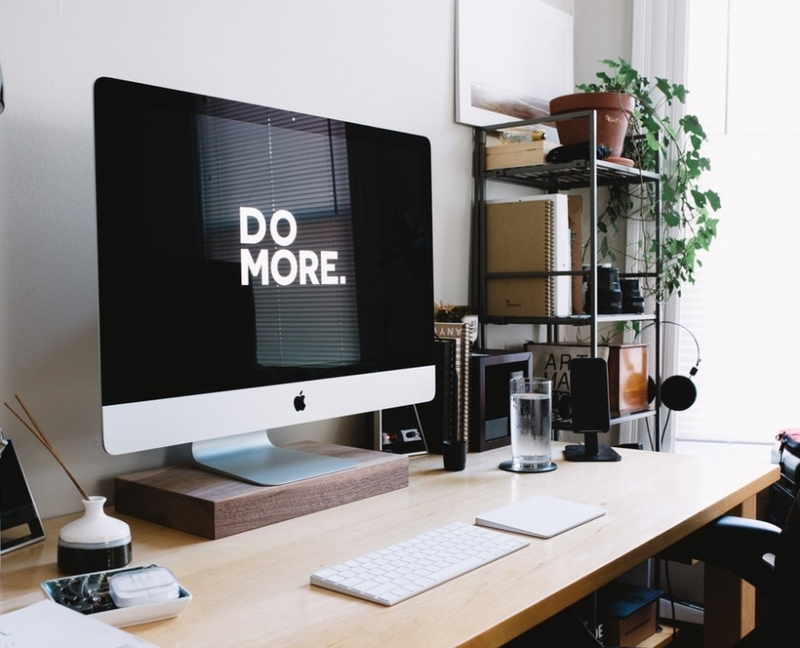 You want this section to be eye-grabbing and you want your audience to fall in love with your business, your brand, you want them to want to find out more. . . you want them walking away liking you, building that trust. You do not want them walking away feeling like they were being “sold” or not understanding what your business does. Also remember in this section you want to add your website, your main office – with this piece most of our clients, including us work from our homes and do not want our address out to the world, I love coffee dates but don’t want people knocking on my door 🙂 You still need to enter your full address, but on the public page it will just say headquarters in CITY, ST not your address. In the video above I show how this process works! Also, you will enter the number of employees you have, the year you were founded, company type and BONUS – Specialties! 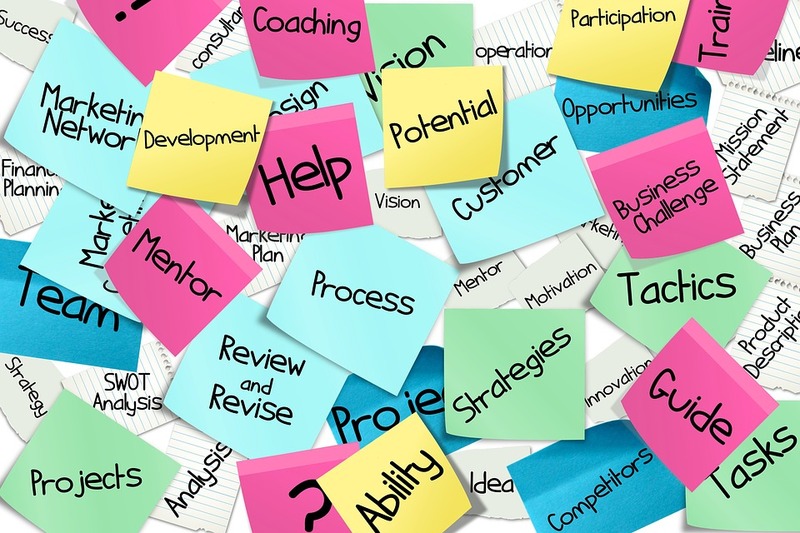 You can use keywords in this area of specialties or a very clear short statement of what you do. Creating a showcase page is adding to your company page, it is an extension. You can highlight a specific product or service your business offers. This allows your brand to come to life a little bit more. Before LinkedIn had a services/products tab, but they do not have that anymore. They now offer the showcase page/ It is an independent page with its own “About Us” section, logo, cover, website, etc. 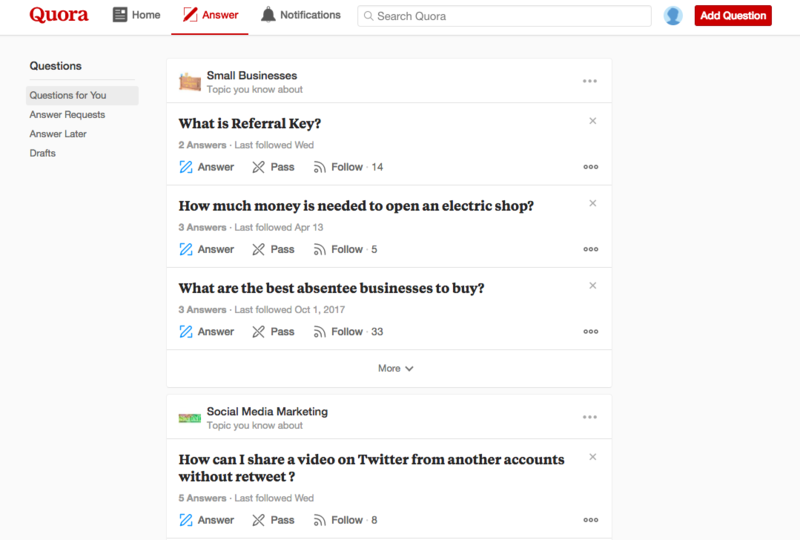 It also will have its own followers and you can post your own updates to this showcase page to show that service or products own personality. These updates you post would only be about this service or product. You can also monitor its own analytics, so you can see how that showcase page is doing. 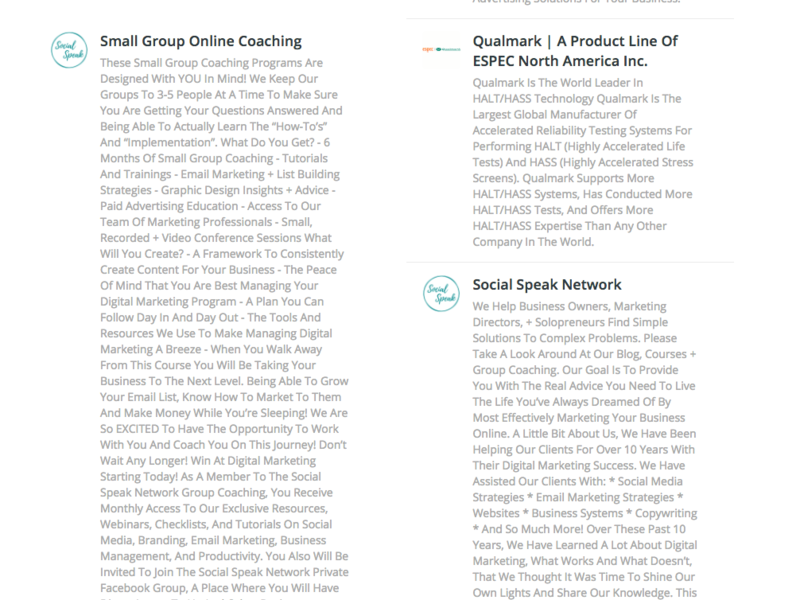 We created a showcase page just for our small group online coaching: As you can see this is just for our small group coaching and its website url is to that page on our website, then to the right you see that is says “This is a Showcase page by: Social Speak Network” which links back to our company page. This is a great way to talk about your key services or products. I would like 3-5, it adds so much value to your company page. Great job on getting your personal profile set up, your company page and showcase pages created, now it’s time to feed them! What I mean by this is CONTENT! 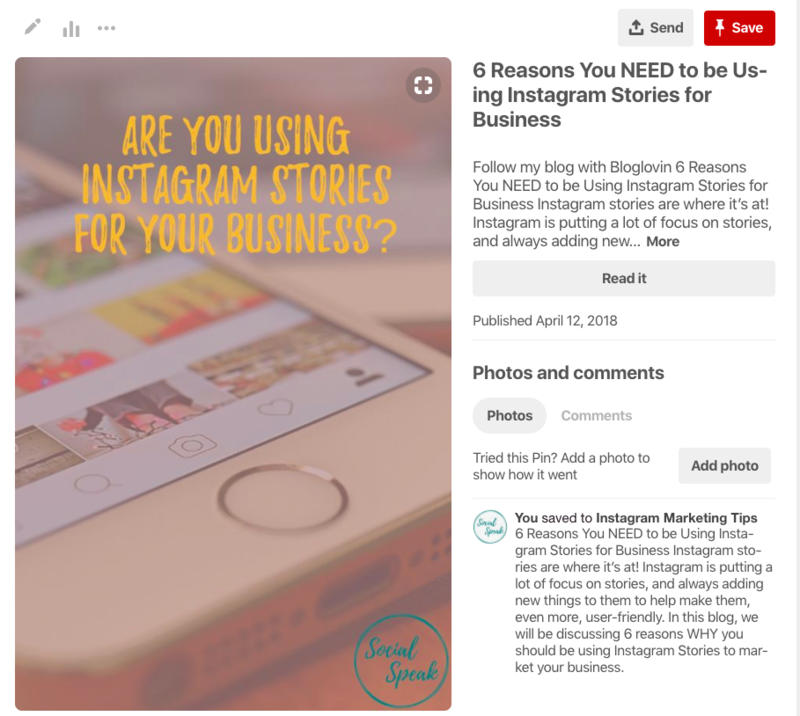 Content stills remains a key component of these pages. If you took the time to create these pages, and make sure they look pretty and match your brans, why wouldn’t you want to do more with them? 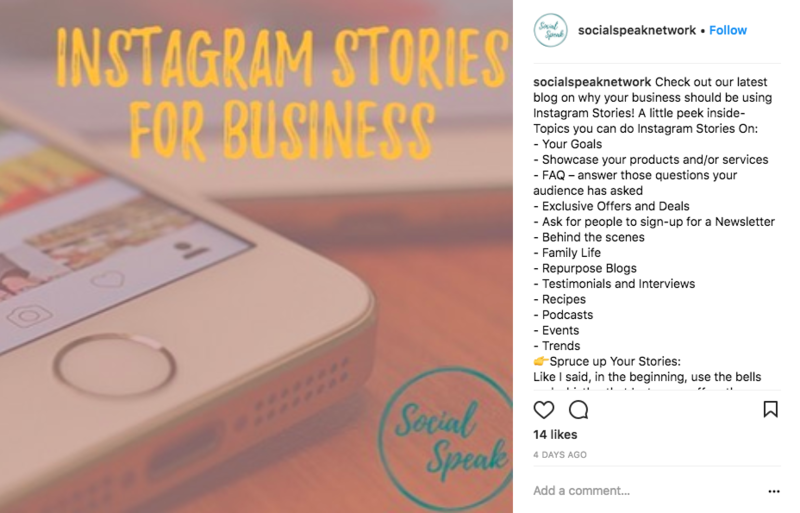 They need to be thought of the same as you think about your Instagram Business profiles or Facebook Page, you post to those daily or weekly correct? 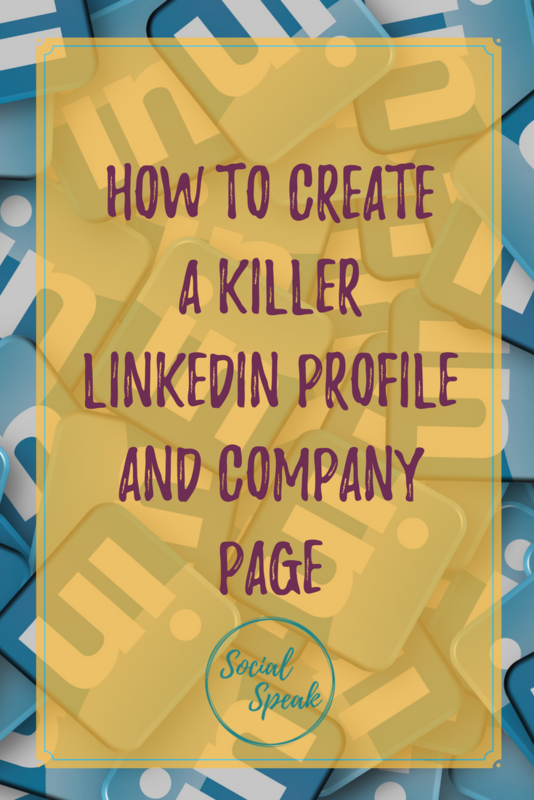 Your LinkedIn profile, Company Page, and Showcase pages should be thought of the same way! WOW, we just added a lot more to your list! 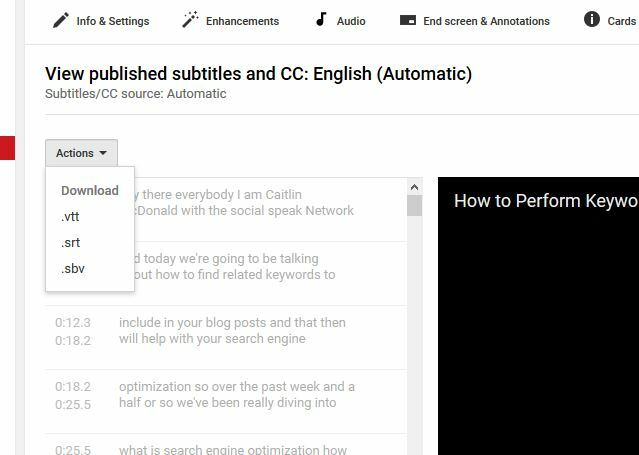 Don’t worry you can add your company page and showcase pages to Buffer or Hootsuite, so you can schedule your posts to go out through one of these tools to help save time, but also to be consistent. You may need to upgrade your package with these two tools if you have already used the 3 free social profiles. 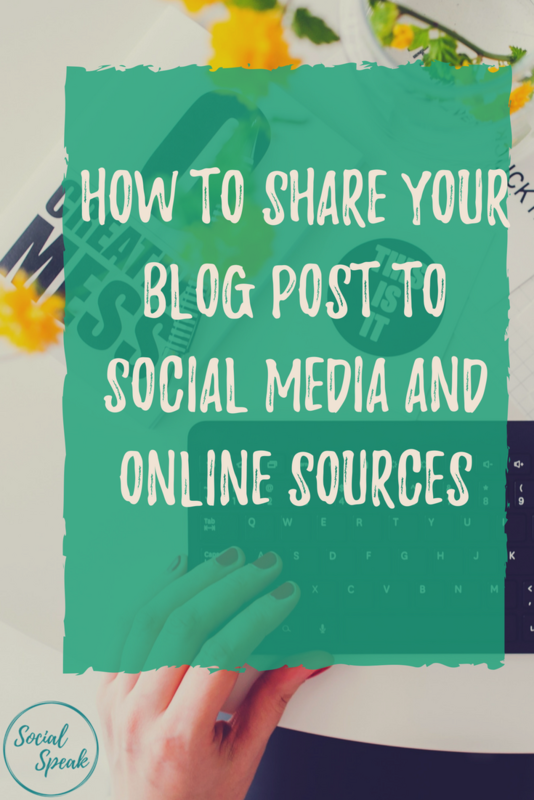 Each of these is free to post through up to 3 profiles, so you may already have Facebook, Twitter, and your personal LinkedIn profile, you will need to increase your account so you can add more. What are things you should talk about on each of these pages? I think we need to split these up into three different sections, each area such as your personal profile, company page, and showcase page will have their own personality. You need to treat them as their own entity. 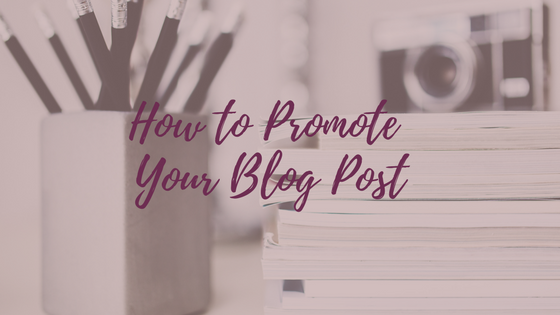 Each page audience will be different, they may be similar or you will have people that you are connected with on LinkedIn and YOU and then they follow your company page and maybe one of your showcase pages as well. So, they will NOT want to see the same content on each page. Let’s start with your personal profile first, this is what most people will see, because like all the social media algorithms you will get more engagement with your personal profile than your company pages. 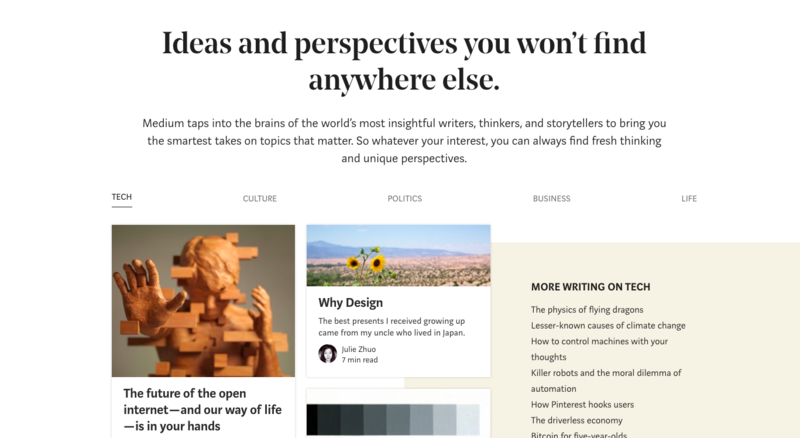 Curated content – articles, videos, images from other companies that align with your business. Test your audience – post an appropriate funny video or image and see the response, mix up your content to see what your audience is engaging with the most. 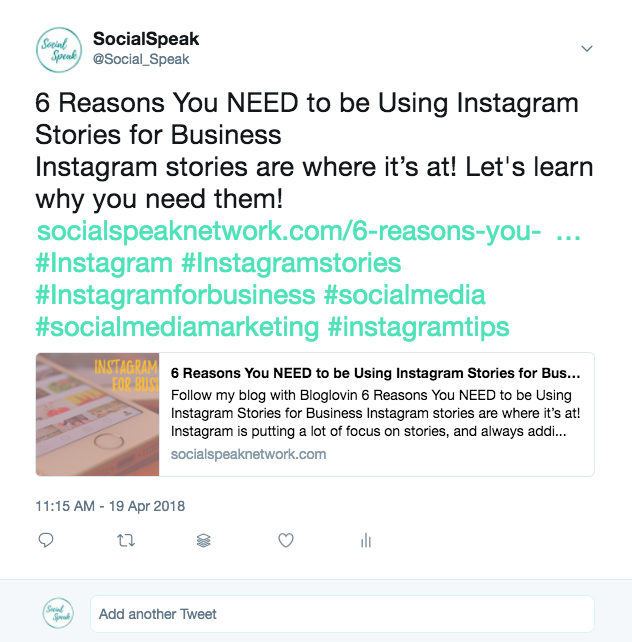 Post maybe 3 times per week – people tht follow your company page or personal profile will already see what your business is doing so posts on your showcase page need to be specific to that service or product. 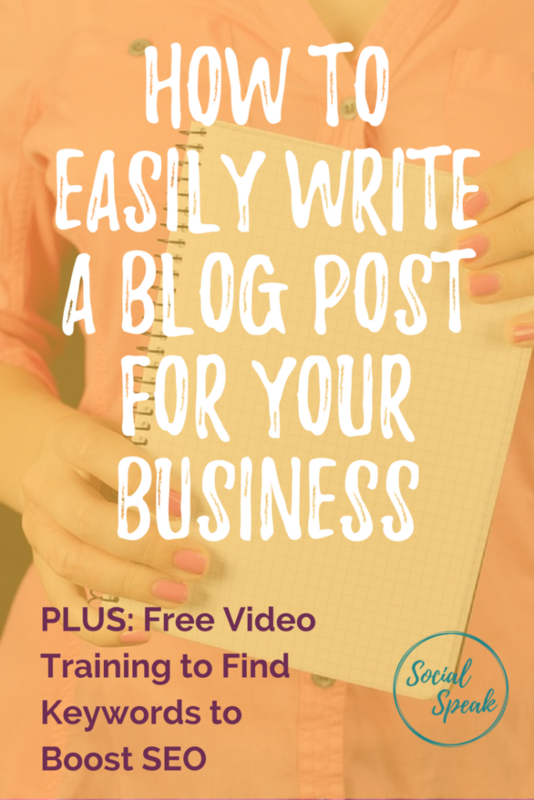 You don’t want to overwhelm your audience. Share stories of your struggle, your journey or clients journey and how this service or product has helped them. As you can see these are all similar but different at the same time. 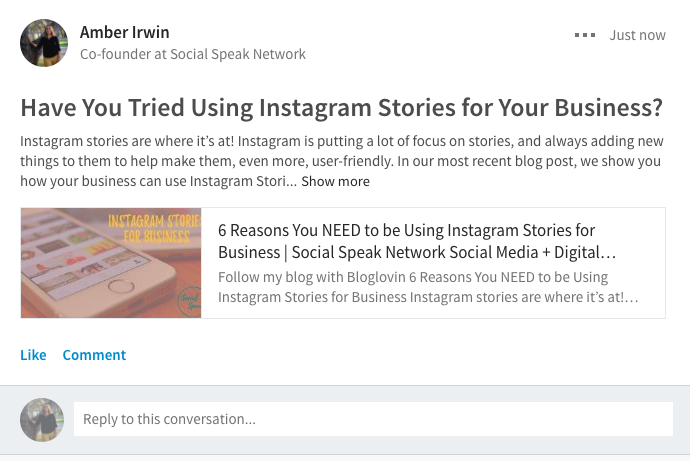 One of the features I like most about LinkedIn is you can add connections to grow your online community. Before, people would just add anyone and everyone so they built quantity connections, rather than quality. Yeah, it’s great to have a large number of connections but we want to focus on adding the quality connections. A key piece to adding quality connections is to have a little note, an intro when you ask somebody to connect with you if you don’ already know them. 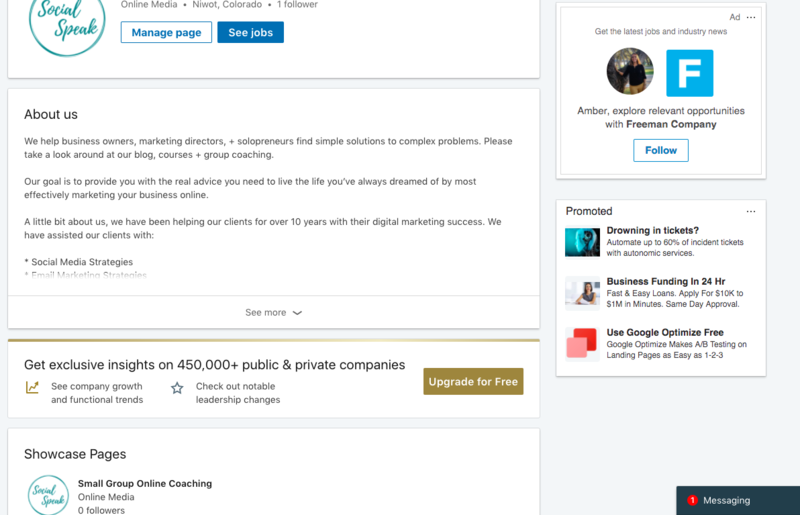 You may see LION next to peoples names, this stands for LinkedIn Open Networker, meaning they are open to connecting with everyone, I don’t see this being used too much anymore, which I like. You will get asked to connect with people you don’t know and that is OK, check them out, look at their profile and see who they are. I like to think of LinkedIn is an online networking group. In this image below you will see that someone asked me to connect with him, I do not know him personally, but he did send a message along with the connection. 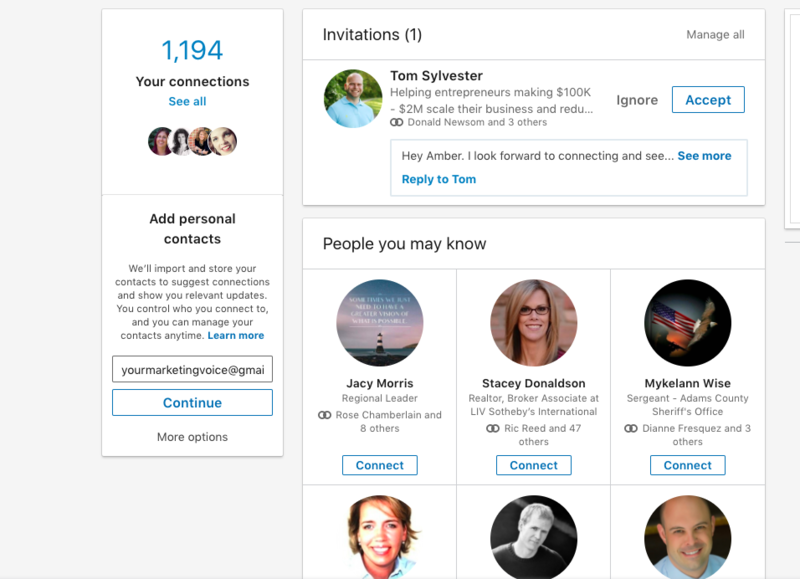 LinkedIn will also show you “People you may know” similar to Facebook. These people show up based on your profile and mutual connections. If you know a specific name of the person you want to connect with, you can search for them and find their profile and then click connect. You can also upload your email list or contacts from Gmail, yahoo, outlook, etc. Then as I mentioned above looking at the “People You May Know” section and asking people to connect through there. It is such a great feeling when you have your LinkedIn profile updated to 100% and then when you create your company page, Showcase pages and have started to add connections, but what will make people want to connect with you? CONTENT! Be sure to be consistent as we have spoken about. 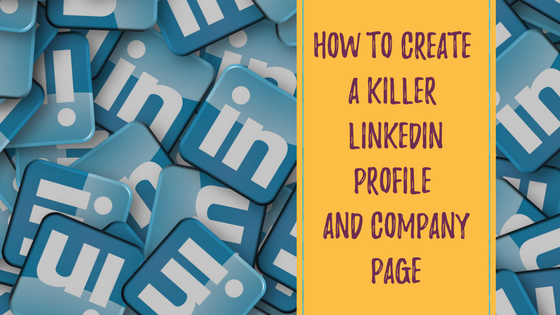 In our next blog, we will be talking about groups, article and how to prospect on LinkedIn to take your profile to the next level! If you need some help setting up or company page or creating the right size graphic, please let us know! At the end of 2017 we, Caitlin & Amber, said that 2018 was going to be a year of change. Sometimes you just know in your gut that something is going to change. We knew this change was going to be for the better, we just didn’t know what the “change” would be! For 7 years of being in business together and on our own for 10 years, we have worked hard at building our client’s brands, products, online communities, and businesses. We are really good at what we do! The only problem with building everyone else’s businesses is you tend to put yours on the back burner. Oh, we will make those videos later, we will write those blogs next week, oh, yeah that’s a good idea to have a coaching program – maybe next year . . . .
Long story short that “next year” came it’s called 2018! We LOVE, LOVE, LOVE working with our clients and most of our clients have been with us since the beginning. In December, Caitlin and myself had a talk about what we wanted to do differently in 2018. How could we take our business to the next level? We love being a resource to our communities and we both know so much about social media and digital marketing. We wanted to up our game and be able to provide MORE to our tribe! Um, LIGHTBULB moment, it clicked for us. What about if we create a website, a new educational platform, where our tribe can go for FREE, YES FREE, to search and find all the information they wanted to learn about social media and digital marketing . . .
Caitlin and I like to jump in feet first and not look back. When we have an idea, we are set on it we are making it happen! 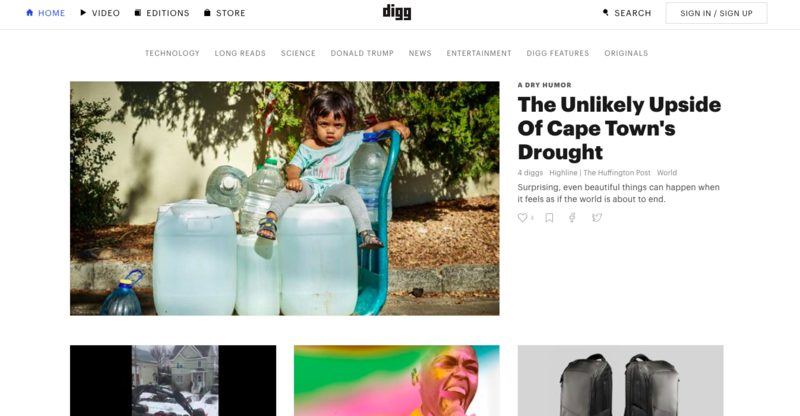 They love all the content but wanted to learn more hands-on how to implement it into their business and be held accountable for their digital marketing strategy. That’s why we created our “Small Group Online Coaching Program” – a 6-month program for 3-5 business owners to really dive deep into their social media and digital marketing strategy, learn how to be successful online, grow their tribe, and learn new things! Now, this is something that totally feeds our soul! We are so very passionate about teaching others about social media and digital marketing and all the fun and cool things you can do! Isn’t awesome when you find your true meaning, your purpose, what you are supposed to be doing? We want to help you create that too! So, what does this mean for you??? What are we looking for? 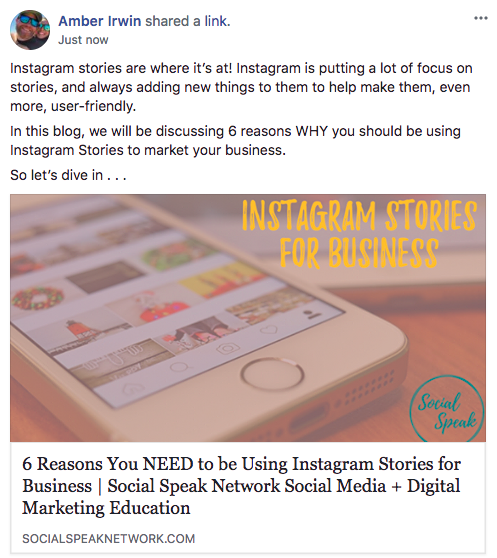 -> We want to invite you to our Facebook Group, this is the starting point, we post great information every day, you can ask questions, engage with other business owners and grow your tribe through this group! 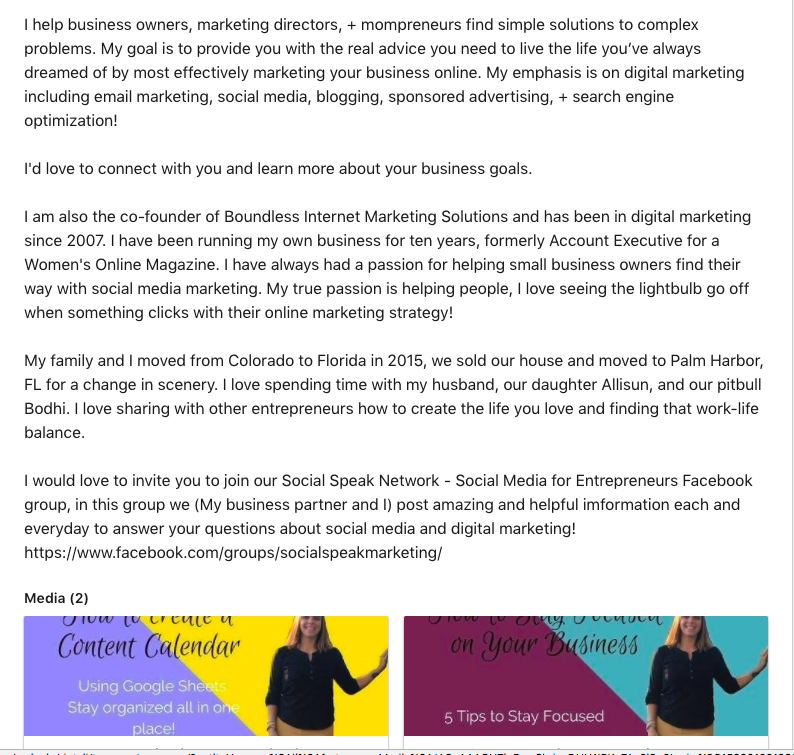 -> We would LOVE to offer you is a FREE 30-minute consultation to answer any social media or digital marketing struggles you have been facing. 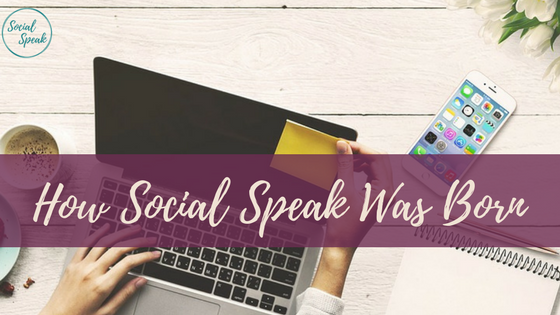 You can email us at SocialSpeakNetwork@gmail.com to set up a time!